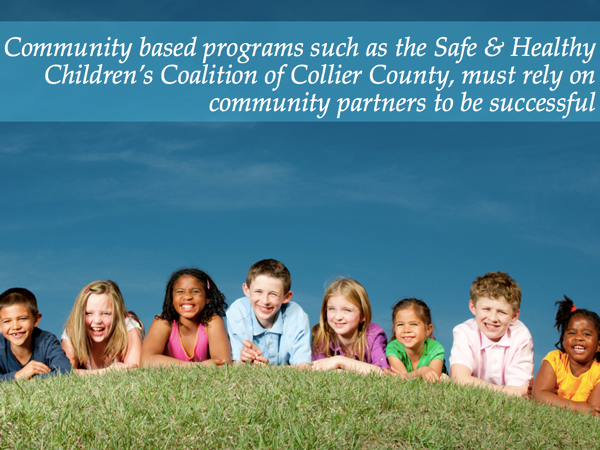 We are a non-profit, 501(c)3 organization and our financial support comes, largely, from individuals and companies who support our mission to improve the health and safety of children in Collier County, Florida. Like most non-profit organizations, we are always in need of financial support. If you believe, as we do, that all children have the right to grow up healthy, to grow up safely, to live a life as full as it can be. Please take a moment to contribute and support our work. Contributions are tax-deductible. 100% of donations will go to Safe & Healthy Children’s Coalition. Please let us know if you wish to receive more information about the Safe & Healthy Children’s Coalition, please send us an e-mail at Info@safehealthychildren.org.